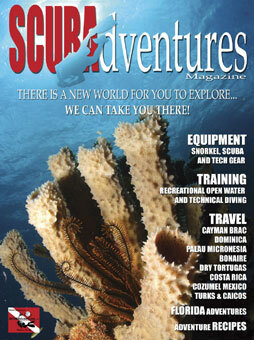 You can reach them easily and inexpensively through the pages of SCUBAdventures Magazine and on the web. SCUBAdventures is filled with several advertising sections specifically for Excursion Services, Health & Fitness, Marine Services, Real Estate and Restaurants. SCUBAventures is a comprehensive keepsake/reference guide to diving in the area and beyond. It is filled with valuable information that every diver, photographer and adventure traveler will use again and again. Its incredible photography and adventure dive travel information, along with the latest equipment and certifications available make it a true keepsake as well as a handy reference guide. This makes SCUBAdventures a valuable marketing tool for any advertiser. The 2007 edition of SCUBAdventures Magazine will be distributed thrughout the area and will work hard to promote you and your business in PRINT and on the INTERNET. DIVE THE FLORIDA KEYS AND BEYOND!